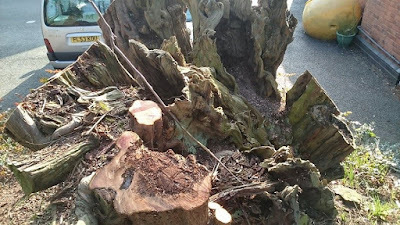 A 'several' hundred year old Yew tree cut to a stump and if that wasn't bad enough it was then treated with a chemical to prevent re-growth. 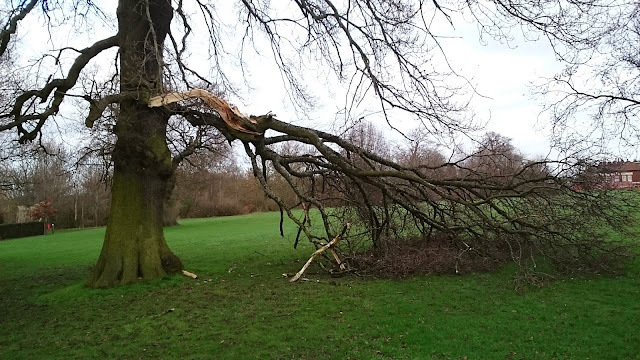 The tree is in the grounds of Uffculme, former home of Richard Cadbury, in Kings Heath, Birmingham. Here the tree in its former glory; the growth was not particularly obscuring ot threatening and from this angle posed no danger to the nearby road. There is much decay at the base, which is 10 feet, my feet, diameter at ground level, there was also much vigorous growth. Another former view of the tree, the crown growth perhaps belies its age.